Rising regional trainer Stirling Osland, amidst a productive 10-race winning season including TAB Highway city success, offers three value runners at Tuesday’s Muswellbrook TAB meeting. 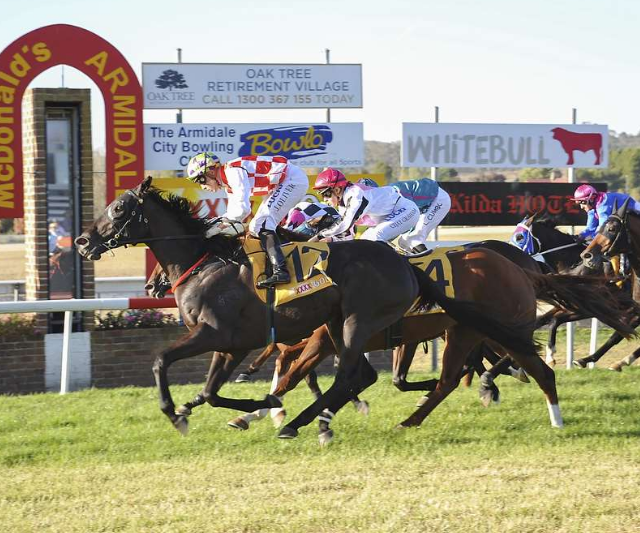 The Armidale-based Osland has stablemates Arugula ($3.30 on TAB fixed odds) and Exilia Miss ($17) engaged in the feature TAB.Com.Au $22,000 Kayuga Cup (1450m) and promising filly Rock the World ($4.80) attempting a winning treble in a Godolphin BM 58 (1000m). The popular Hunter track offers a strong meeting with capacity fields and emergencies throughout nine TAB races. Osland is adamant four-year-old gelding Arugula with the upside of three wins from 12 race starts was desperately unlucky in heavy 9 conditions in a Royal Randwick TAB Highway event two weeks ago, won by Matthew Dunn’s Tristan de Angel. “He had no clear running whatsoever in the straight until it was too late, just unlucky, a total forgive run,” Stirling assessed. “The heavy track wasn’t a factor. He got through the conditions okay; he just drew inside, they came back on him and didn’t get a clear crack at them. While Osland is looking for further with six-race winning staying prospect Exilia Miss, he wouldn’t be surprised if she caused an upset. The powerful finishing mare did just that upsetting the favourites at $34 to win the Guyra Cup over 1400m at Armidale last preparation in April. Exilia Miss carries 56kg for Andrew Gibbons and Arugula 54kg for in-form Ben Looker who has ridden him at his past two starts. Rock the World, a Fastnet Rock former Victorian filly, has been a revelation for Osland after moderate efforts on provincial tracks early season over the border. She has been dominant winning a Grafton maiden and an Armidale Class 1 in recent weeks, and Osland isn’t deterred by an extreme wide draw for Ben Looker. Osland won a Rosehill Gardens TAB Highway in June with promising speedster Radiant Choice. Muswellbrook at present is rated a soft 5 surface in overcast conditions.